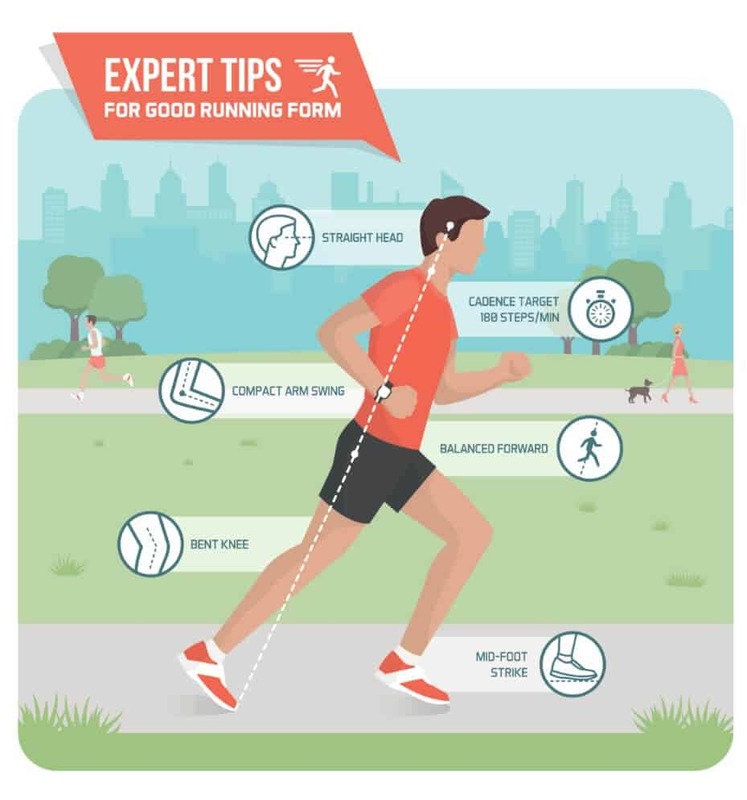 understand the health benefits of running, you first need to know how to start running. same stretches used before running can be repeated after the workout to cool down muscles. you’re facing the opposite direction. Carry an ID, cell phone and emergency contact information with you when you run. Be aware of any vehicles or dangers around you when running. Don’t assume everyone sees you. Change your running routes based on the time of day. Altering your running routes keep your routine fresh. Whenever possible, run with a partner. Even running with your dog is better than running alone. If you run on multi-use trails or anywhere outside of regular roads, make sure you follow the rules. Some trails have strict rules, while others are not so strict. It’s best to make sure you follow all of the rules of the area to ensure safety. Is running good for you? If you’re running for weight loss, then yes. It’s a great form of cardio exerciseallowing you to burn extra calories. In fact, running is the second most effective exercise when it comes to burning calories. Running provides many physical benefits, but also provides plenty of emotional benefits. One of those benefits is better self-esteem. When you set and achieve goals, it helps you feel empowered and happier. Have you heard about getting a runner’s high? Well, it’s a real thing, and it’s very healthy for your body, similar to healthy foods. 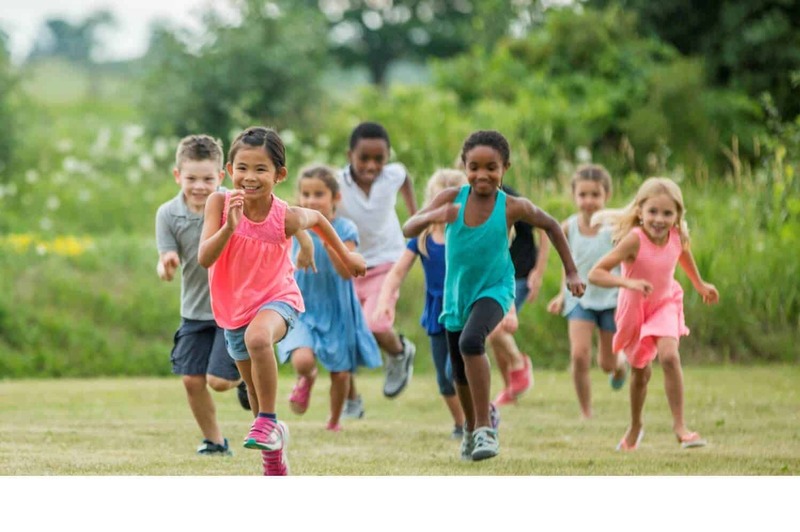 When you run, your brain will start to create two chemicals which make you feel great: endocannabinoids and endorphins. These two chemicals cause the pleasurable feeling you get from running. When you run, you develop stronger joints. This is one of the reasons running is recommended for those at risk of osteoarthritis. Runners have been shown to be half as likely to suffer from joint issues compared to walkers. Your legs will be used significantly during running, but so will your core. If you’ve been looking for a way to work your core, running is the answer. You will work the obliques, erector spinae, transverse abdominis and other abdominal muscles when you run. Spending time alone away from the noise of the world provides plenty of health benefits. When you run, you can do this, and some even consider running a form of meditation. Of course, this only happens when you take the earbuds out and listen to nothing but the natural sounds around you. 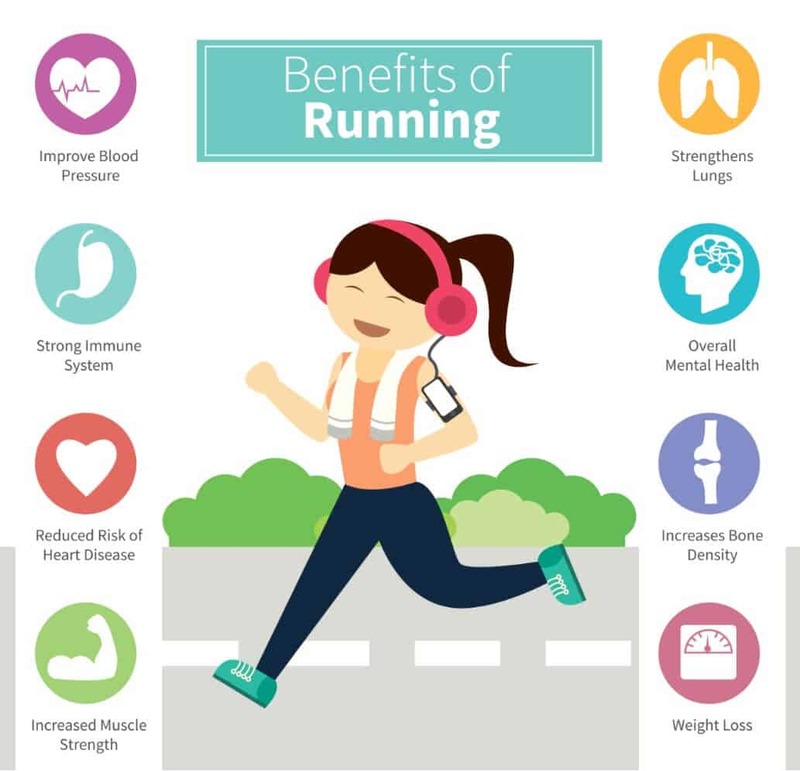 Running provides many excellent health benefits. 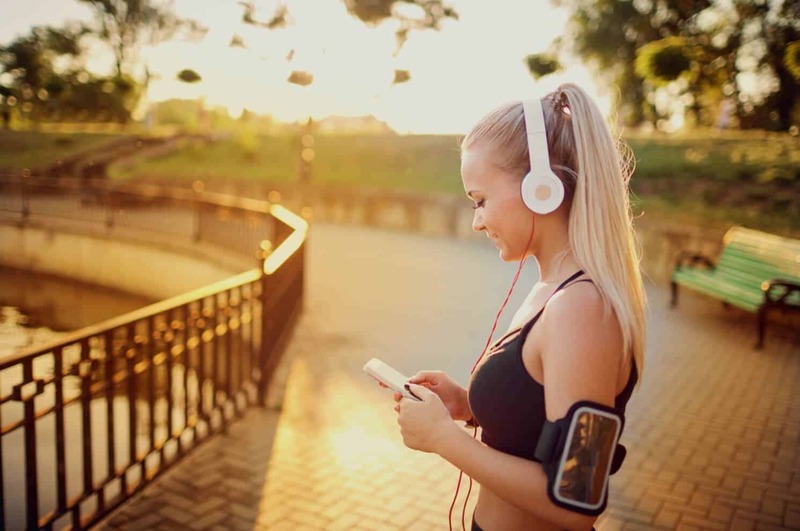 You can do it anywhere, and if you want to use one of the best forms of calorie-burning exercise, it’s time to start running. How Much Running is Healthy for a Girl? Running may not be something you feel like you need to learn how to do. But, one of the benefits of running is proper technique. Good running technique helps reduce risk of injury; allowing you to run longer and enjoy running. As a beginner to running, the right technique will help. It’s also important to understand how to get started with running. Most beginners will need to start with run/walks instead of expecting to go running for a half-hour or longer without stopping. A run/walk allows you to learn pace and work on stamina and endurance. You will simply start by adding short running times into a regular walk. Increase the amount you run with each run/walk until you can run the entire time. One minute of running for every four minutes of walking is a good place to start. Don’t allow your hands to flop when you run, but don’t allow them to become tense, either. If they tense up, it could cause tension in your shoulders and back, too. You always want to be looking about 50 feet in front of you with your head up. Don’t look down aft your feet as it will create tension in your neck. It’s also important to keep your neck and jaw relaxed when running. Proper running technique will have you leaning forward slightly while running. You don’t want to bend forward but lean just a little bit. Make sure you don’t bend at the waist, however. This can cause pressure on your hips. Making a 90-degree angle with your arms is another part of the proper running form. You want to swing your arms back and forth in this position and not across your body. This helps to move you forward faster and won’t waste as much energy. You don’t want to take heavy steps as it will put more pressure on your joints. Aim for a mid-foot strike with the ground, and it should feel like a light and quiet tap. If you hear a loud slap when your food hits the ground, you are running with heavy steps. Runners have to know how to breathe because it will cause you to breathe deeper. However, your breathing needs to be in rhythm. Avoid taking any quick or shallow breaths as well. One deep breath for each stride is about the right rhythm for most runners. 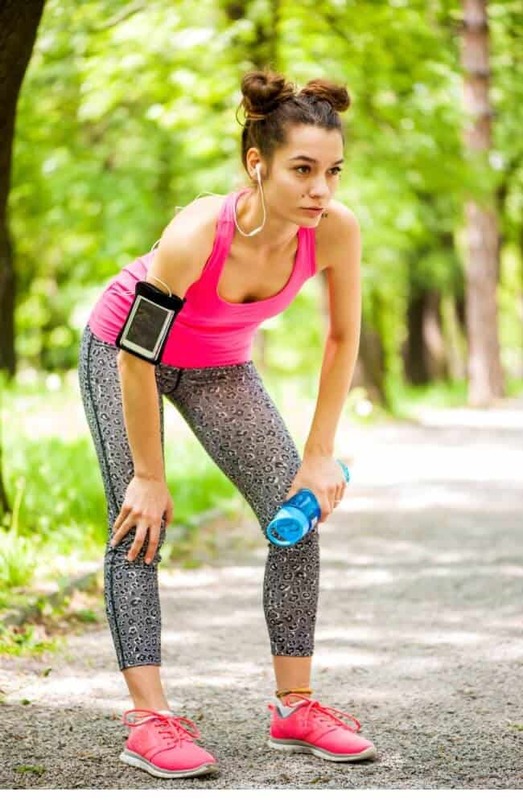 While the basic running gear needed includes good running shoes and running apparel; there’s optional running gear to help improve performance. 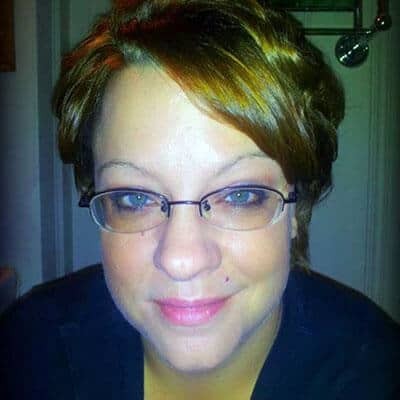 Summer Banks, Director of Content at Dietspotlight, has researched over 5000 weight-loss programs, pills, shakes and diet plans. Previously, she managed 15 supplement brands, worked with doctors specializing in weight loss and completed coursework in nutrition at Stanford University. full bio.